Whitney’s shifts in demeanor may have looked like bouts of schizophrenia to others, but I recognized the power she harnessed by flipping her camouflage depending on the surroundings. In high school, my friends and I did it all the time. We’d talk “proper” in class with our teachers and to some of our white classmates depending on their flow, but once in the schoolyard or back home on our block we’d “cut up.” And I’ll never forget in college not discovering a friend was Jamaican until Parent’s Weekend and hearing her speak to her folks. All of a sudden her voice had this beautiful and distinct lilt. It was like night and day. It was canoodling with Kevin Costner on the big screen and tonguing down Bobby Brown on the small screen. On “Being Bobby Brown” we saw around-the-way Nip and we got an up close look at the wicked sickness that is Addiction. Personally though I never thought her addiction would take her out of this world. Call me naïve. Call it hero-worship. But anyone who could sing “I Will Always Love You” the way she did was larger than life and much stronger than the demons she was battling. She was the Michael Jordan of singers. Like Shango summoning Thunder from the heavens on a stormy night, Whitney pulled wondrous chords and melodies out of the simplest of songs. She was mythological in talent. In time I thought, in time, Nippy would be alright. I mean this is the same woman who galvanized an entire country with her rendition of the Star Spangled Banner. I was in college managing the men’s varsity basketball team when she performed the national anthem. I’ll never forget when it became a bestselling single because at every game thereafter, (home and away), it was played and even the Black players and staff (myself included) put our hands over our hearts when we heard Whitney’s rendition. Never did that happen before. I can’t say I felt patriotic, but pride to be Black and American– oh yes! Talking to another manager, who happened to be Black, one day right after the anthem played I shared how I always felt so emotional after hearing Whitney sing it. He said it was the first time he ever really listened to the lyrics and how she made him feel like he was that flag still waving, still standing. Her singing of the Star Spangled Banner embodied so much soul and spirit that it imbued anyone who felt marginalized, lost, and displaced with a sense of belonging and that they too had every right to claim their piece of the Red, White & Blue as their own. Yep, that was Whitney. That was Nippy too. They were both there in that moment– simultaneously giving a country at war their victory song and giving the folks who had loved her since her duet with Teddy Pendergrass, (“Hold Me”), so much pride and confidence. Now that it’s heartbreakingly clear to me that Whitney was not able to conquer her demons, I’m reassessing my role as a fan. How can I become more vigilante for our great artists who are battling with drugs and alcoholism? Buying their music does not seem like it’s nearly enough these days. As a result of Whitney’s sudden death, however, I do not feel like my potential has been compromised one bit. Rather I feel, especially now, my potential bursting at the seams, bubbling over with promise and power. Regardless of the criticism, allegations and reports that will surely come particularly after her toxicology results are made public that potential is alive. You see Whitney didn’t shake her booty in music videos to sell more units, she never sang about “stupid hoes” or the like, she loved her mother and daughter fiercely and she loved God fervently. That’s got me feeling like I can still be the woman of my dreams. Thank you Whitney Elizabeth Houston for giving me that! As a footnote, I’d like to share that I had the fortune of meeting Ms. Houston in 1994. Her best friend and former executive assistant, Robyn Crawford, had called my office at my first job at Zomba Music Publishing. She needed a favor. I had never spoken to her before, but as soon as she gave her name I knew exactly who she was. She didn’t have to mention that she worked at Nippy, Inc. even though she humbly did. I can’t remember now what she needed, but it didn’t matter. It could’ve been R. Kelly’s back hair, I was getting Robyn whatever she wanted because in my heart I felt helping her was helping Whitney whom I adored. I believe she wanted the back catalogue of one of our writers. I scrambled to get all the CD’s and Fedexed them to her office in Fort Lee, NJ. She immediately called me back to thank me and asked if I’d like to see Whitney’s show at Radio City Music Hall later that month. I screamed, YES! When I got to the hotel to pick up my tickets as we had planned, the concierge told me that they weren’t at the front desk. Robyn wanted me to come up to her room and get them directly from her. Whoo-whee! My heart fluttered as I stepped onto the elevator. When I got to her suite, Robyn, ever so statuesque, greeted me with a smile and such genuine warmth that I felt like we were old friends. She thanked me again and while talking to me with my envelope still in her hands, out from one of the back rooms emerged Whitney. She had someone holding on the phone back in the room. She had to ask Robyn something. It was a quick moment, but absolutely unforgettable. Robyn introduced me as the girl from Zomba who got the CD’s they needed. She shook my hand and placed her other hand over both of our clasped palms and said in that honey, molasses-drenched voice of hers, “Thanks sweetie.” Damn I felt like I had met a queen that night. Actually, I guess I did. She was so womanly and royal and grown! It’s not until her passing that I backtracked her age and realized she was only 30 or 31 years old. She was a tad older than me, but really more my peer than mentor. I’m astonished now that she related to me like an auntie relating to her niece, but I guess for someone with her level of fame, wealth, and power she had grown-up real fast and was more caregiver than carefree. Earlier this week Robyn wrote an incredible memorial to her BFF, which alluded to the heavy responsibilities Whitney had to saddle. Please read it HERE. It’s clear Robyn was a real friend who wanted nothing but for her friend to be her best and to feel her very best. Well now Robyn she can finally rest in sweet peace. We love ya Nip! The Hotness was right on point, as always! 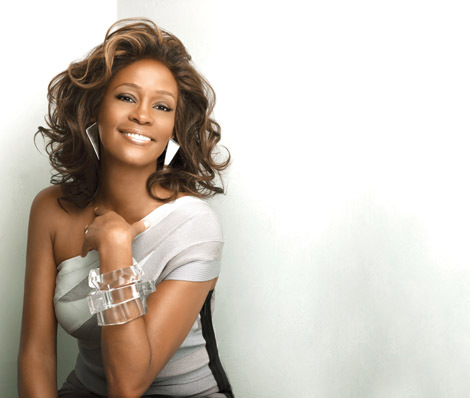 Rest in peace Whitney! Nicole, I could read your writing until…well, forever! Thank you. Thanks for writing this beautiful tribute! I had been waiting on it. 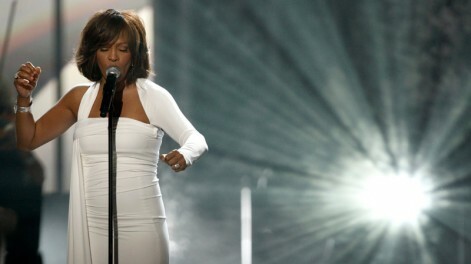 I had always thought of Whitney as the “gold standard” of voices. I will truly miss her. Your piece is beautifuly woven, feels like I knew Nippy. You’re a real talent! An inspiring send off to one of the world’s greatest. Wow I just recently received a note, via her publicist, from Dionne Warwick, thanking me for my thoughts and for caring for her cousin Whitney Houston in my post. I’m so very flattered and awed and so appreciative and full! Thank you all so much for your comments. I know we are all grieving together. What a heartfelt piece. Always on the one!